This blog post was triggered by completing Sally Hogshead’s How the World Sees You. Since it’s the fifth personality test / framework that I’ve completed, it’s hopefully allowed me to also create something here for you to learn about the book and personality tests in general. I completed the book (plus its 28-question test) as part of my ongoing pursuit of self-improvement and to become a better keynote facilitator. 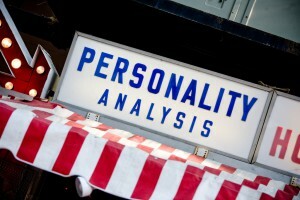 If you have ever taken a personality test for How the World Sees You, Myers & Briggs, StrengthsFinder, VIA Character Strengths or The Leadership Wheel, then you’ll know some of what to expect here. I’ve completed all of those frameworks and in particular spent time in office group settings that facilitated each of Myers & Briggs and Strengthsfinder. I went furthest with Strengthsfinder with a business team for many months and enjoyed the results. I’m curious about (but never participated in) True Colors, INSIGHT and DiSC. There are decent histories and summaries for some personality tests here and the Wikipedia page for the overall topic is here. But in this blog post, for the ones I’ve been through, I’ll list a few similarities and differences, then summarize Hogshead’s book. You can decide if any of them might be for you. A good reason in my opinion to participate in any personality test is to learn more about how one’s particular personality compares to other people’s personalities. I don’t think most personality frameworks were designed to make us change our existing traits, but rather improve our interactions with other people. As a fact-focused / scientific individual, I approached this topic with a healthy skepticism, but took what I could of value out of the information found within each framework. My short summary of the five frameworks I have participated in is this: There is something valuable in every one, but each one is not highly scientific. The worst first: I very lightly parallel these personality frameworks with astrology. Astrology is also a type of personality framework, but it’s based on astronomical phenomena and our birth date/time, rather than on multiple-choice tests. A personality (astrological sign) is usually broad enough (in my opinion) to allow most of us to say, “Yes, I am somewhat like that!” This acknowledgement is part of making certain people believe firmly in astrology. Meanwhile, astrology keeps believers glued with event-dependent guidelines on how to navigate through life or work, such as how to handle an intimate relationship at a particular point in time. For the record: I barely believe in astrology. I say “barely” because I cannot deny that I have experienced moments of wonder at what a couple of semi-professional astrologists have said about myself, my past and my current circumstances. I do realize that this could be similar to being fooled and impressed by magic or illusion. Unlike astrology, all of the personality frameworks I mentioned at the beginning of this post are driven by question-and-answer analyses, which to me is a better way to determine what’s going on in somebody’s brain. If you do decide to try (or have tried) to participate in any of the non-astrological personality frameworks, I highly recommend that you complete more than one. Yes, that’s more work and more cost, but some like VIA are totally free. The frameworks seem to have different purposes or areas of interest or areas of expertise. I liken this to using different lenses for a camera. Your camera can look at one image, but the image will appear differently based on the lens used. Across the five frameworks I completed, I was evaluated as a “Teacher”-type personality, while being somebody who values beauty, while being somebody who achieves goals through excellence, while being somebody who is highly analytical, while being somebody who is introverted. That’s one quality from each of the five frameworks I participated in. I left lots out for simplicity’s sake. So my first question is: is it possible that all of these things could be true at the same time? Yes, I think it’s possible. Is it also possible that somebody could use any or all of these qualities to better navigate one’s personal or professional life? Yes, I think that’s also possible. After taking Sally Hogshead’s online test, the automated analysis concluded that I was a personality archetype (designed by Hogshead) called, The Avant Garde. In short, I supposedly achieve success in my work and life by using the strengths of Prestige and Innovation (the strengths that make up an archetype are also of Hogshead’s design). I agreed with the variables that were listed under the Avant Garde archetype to be aligned with my self-perception and proceeded to read the book enthusiastically, imagining that there would be some keys to using my default personality traits more effectively. But then, for fun, I started reading the other archetype headlines. I put my mind into an, “Am I mostly like this archetype?” state. Sadly, like astrology draws somebody in, I had to say, “Yes, my dominant traits are somewhat like that!” to a bunch of them. I can imagine that Hogshead or any of the creators of the other frameworks would say that such an experience is not unusual. After all, can our personalities really be boiled down to just a few words? There could be testing issues like one’s state of mind during the test or choosing “ideal” responses because we don’t like to admit certain things to ourselves. On the other hand, there were definitely some archetypes that made me think, “No way, I’m not like that,” even as I mentally pushed myself past my self-perception comfort zone. So there should be some substance to the general realms of Hogshead’s archetypes. And upon review, I believe that the same goes for the other personality frameworks that I went through. 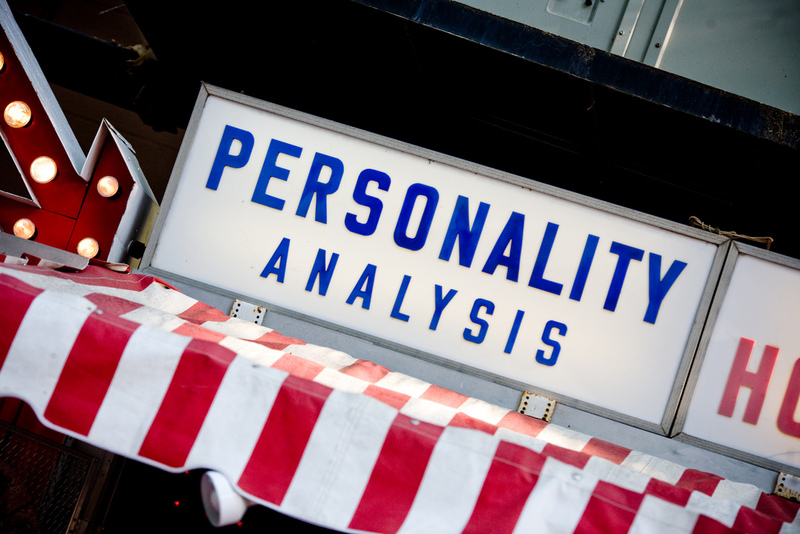 A personality framework can be valuable if it recommends how to use the results of your test. Hogshead’s framework does just this – with an interesting angle. Rather than declaring how you look at other people, the results show how people likely look at you. And the recommendation is to emphasize the identified strengths so you are more able to “fascinate” others. Hogshead’s approach is in the realm of personal branding. In my case, I should present myself as somebody who achieves excellence in everything they do, while being a highly creative individual for everything from new ideas to problem-solving. If I try, on the other hand, to focus on showing more restraint (for example) in every situation, then I won’t be as successful at being a “fascinating” individual even though restraint is just as powerful a strength. Restraint should only be emphasized by somebody who is already good at restraint. Hogshead does acknowledge in her appendix (which was a very strong and short ending to her book) that this doesn’t mean we shouldn’t focus on any of our weaknesses. Rather, spend our time and energy refining what we already naturally do best. This, I believe, is much easier while not necessarily being less effective. It’s the same approach as the StrengthsFinder framework, of which I became a big fan. If I tried to identify only one consistently useful element across all personality frameworks, it would be that of creating empathy. I remember doing Myers & Briggs 12 years ago. At the time, I believed that a few of my co-worker participants were blinded daily by their own thinking. But late on the Myers & Briggs day, they all showed signs of having “aha” moments, i.e. self-reflection and understanding that there is something valuable in every person and every person’s way of doing things. A fairly thorough blog article on empathy in general can be found here. True, we might not jive with somebody else. True, we might be a better person than somebody else to do a particular job. A strong leader would be wise to recognize these differences and put the right people in the right positions. A strong individual (that means you!) would be wise to empathize with others and know that everybody has their own way of looking at things and doing things. Contact me (Dyniss) if you ever need a Custom Song or a Keynote for yourself, for a loved one, for your event or for your organization.